Never miss to call and text your loved ones abroad using your Talk N Text sim. 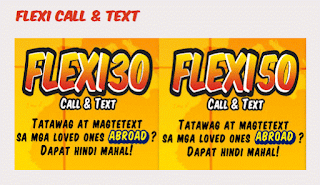 No need to spend more just to hear their voice and read your messages with TNT FLEXI30 and FLEXI50 promo. For only 30 pesos you can easily connect with them thru text or call even if they are working abroad. 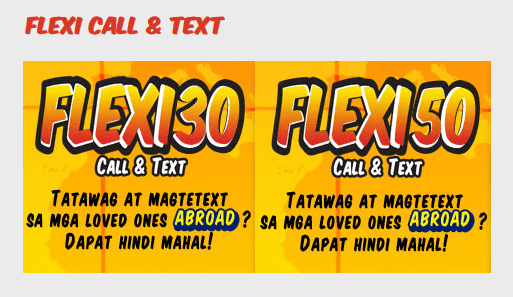 If you want more texts and minutes, you can register to 50 pesos FLEXI promo. Just remember the keyword when you register to this promo and do note this promo validity and packages included may change without notice. You can visit your nearest TNT load retailer or visit their website and social media account for updates and inquiry.